Periodontists are specialists in treating periodontal disease, also known as gum disease. While any dentist can treat periodontal disease periodontists are often used to treat severe cases. These severe cases are usually where the gum is really inflamed, the teeth are starting to fall out, and the nerves get infected and suffer serious damages. 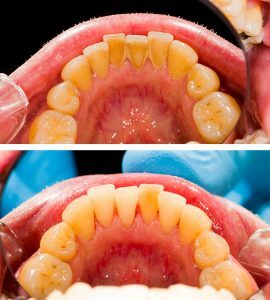 Periodontists are particularly trained to realize diverse treatments with special tools for the succesfuly remove of damaged tissue from these areas. They can also be of great help in cases where the patient has a complex medical history that requires a carefully coordinated interventions. In addition to the periodontal disease, periodontists are also skilled in the placement, maintenance and repair of dental implants. That’s because they have a deep knowledge in the anatomy and function of the tooth and gum area. They’re capable to determine the best locations for implants in specific cases such as the “All-on-Four”, where four implants have to hold an entire arch of teeth. If the implant is not placed correctly, the system could fail.